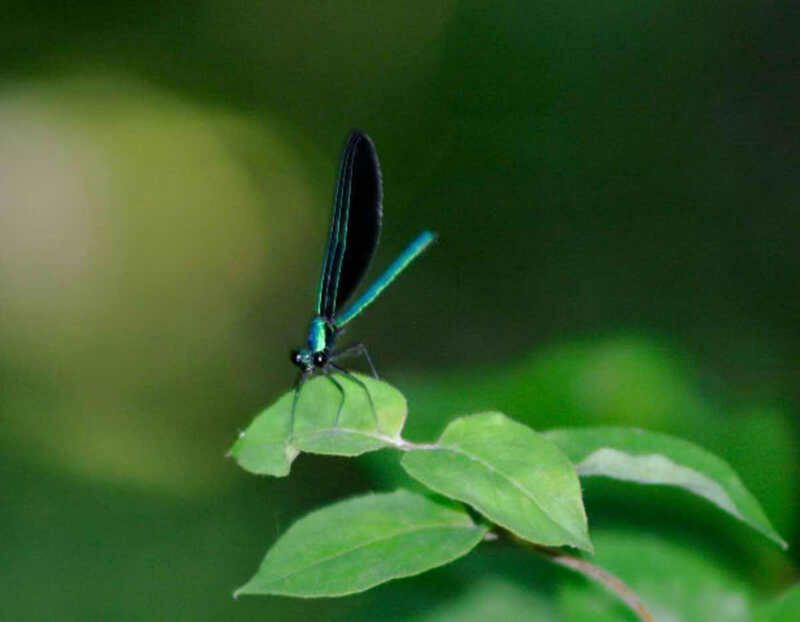 1) Insects live all around us in the air, water, land and even underground. They can be found in many shapes and sizes, colours and types. In fact insects make up more than half of all the animal species found on planet Earth. 2) Adult insects have three pairs of legs, three body parts (head, thorax and abdomen) and a set of antennae. 3) Young insects can look very different to their parents. 4) The jaws of insects such as beetles are called mandibles. 5) Insects do not have lungs. They breathe through tiny holes in their bodies called spiracles. 6) An insects wings are fixed to the middle section of their body, known as the thorax. 7) An insets exoskeleton is made of chitin which is the same substance that crab’s shells are made from. 8) Scientists have identified more than a million species of insects so far. 9) An animal with an exoskeleton and jointed legs is called an arthropod. Insects are a type of arthropod. 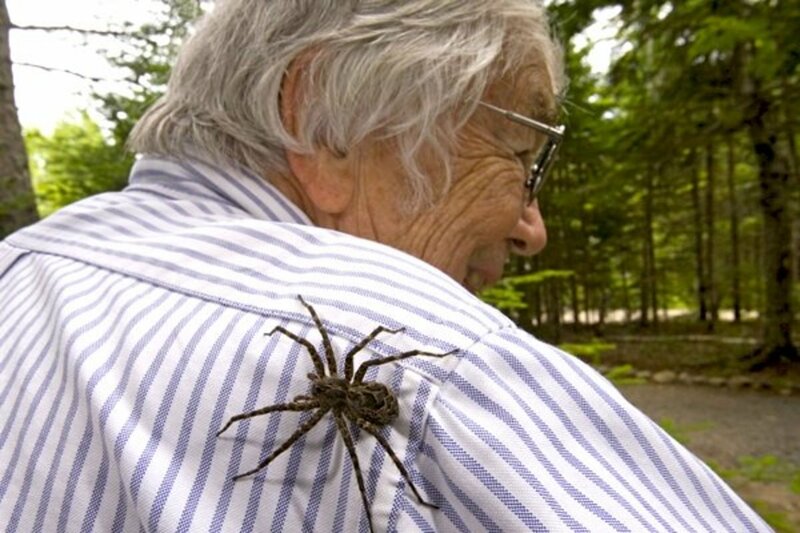 10) Not all arthropods are insects. Woodlice, scorpions, spiders and centipedes are all other types of arthropods. 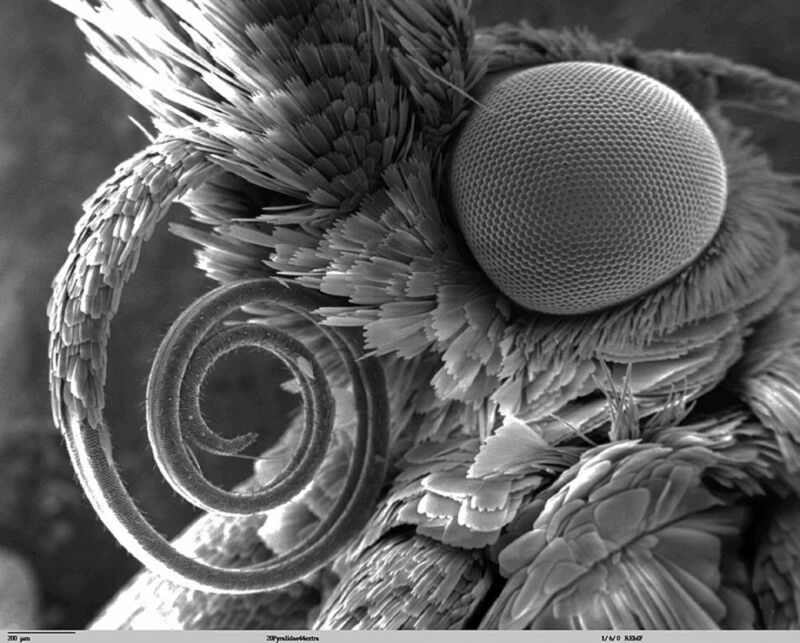 11) Most insects have a large pair of compound eyes that are made up of many lenses. These lenses fit together like tiles. 12) Flies, dragonflies and mantises have the largest eyes. 13) Insects can see less detail than humans but are very sensitive to movement. 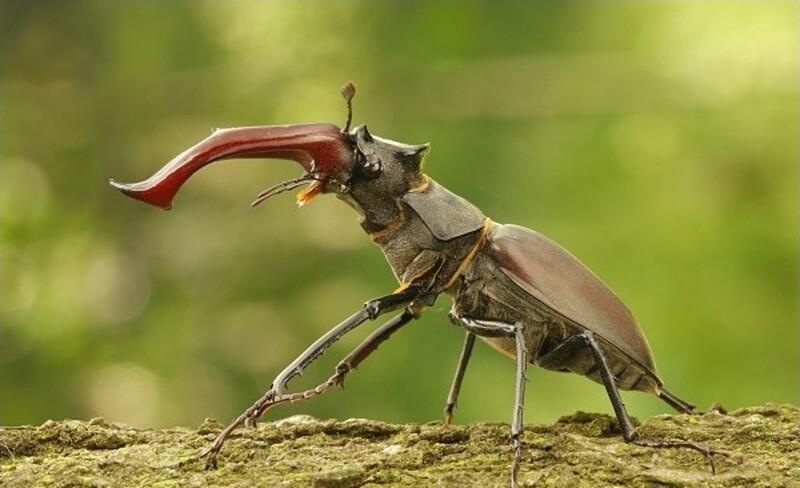 14) An insects taste and smell organs are called chemoreceptors. 15) Some bees, butterflies and moths can smell a flower from 5km (3 miles) away. 16) Many insects are skilled architects and build skilfully crafted nests. 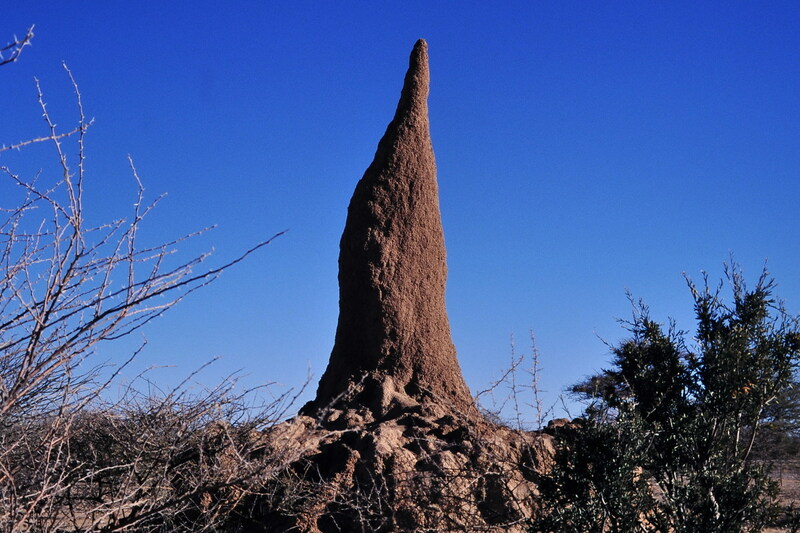 Termite’s nests are an example of these. 17) Mosquito larvae live underwater and have a breathing tube that reaches above the water’s surface like a snorkel. 18) Termites control the temperature inside their nests by opening and closing ventilation holes. 19) Male grasshoppers rub their long back legs together to make music that attracts females. 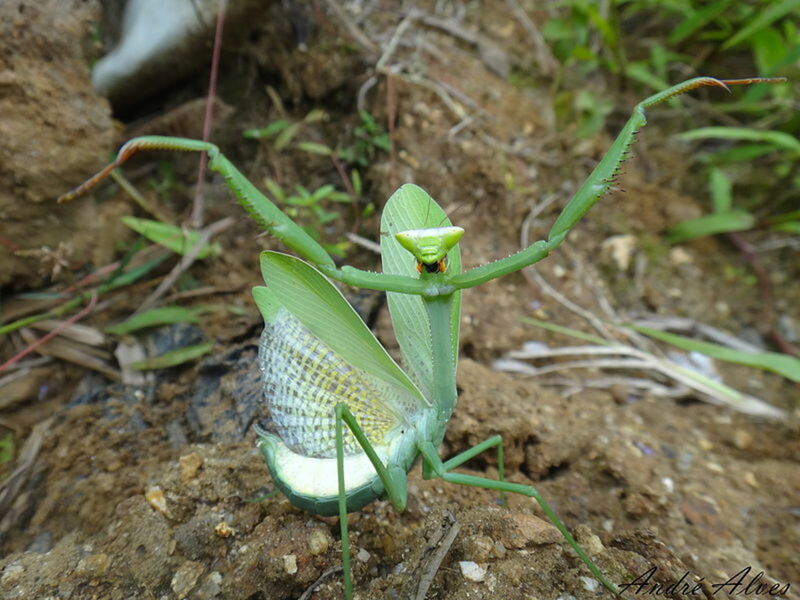 20) Female praying mantises eat the male after mating. This gives her extra energy to form eggs. 21) Most insects begin life as eggs but some such as aphids give birth to live young. 22) Butterflies and moths use a long coiling tongue called a proboscis to drink nectar from flowers. 23) Hawk moths are the fastest flying insects. 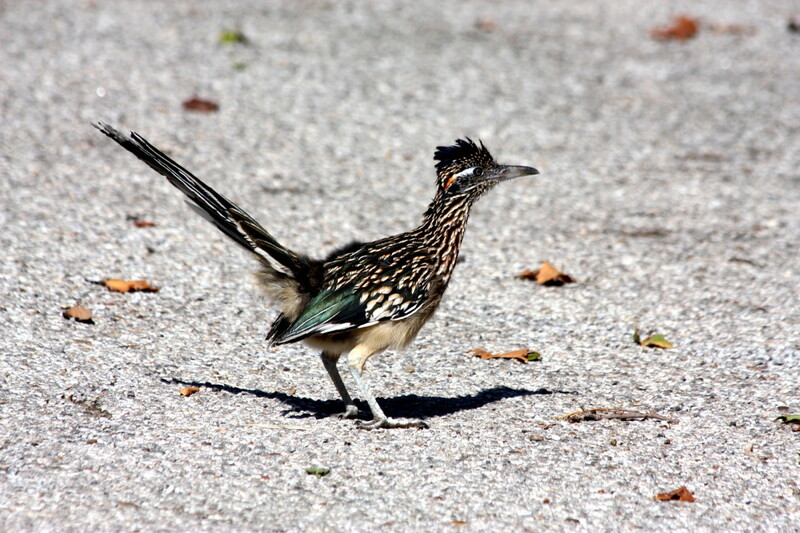 They can reach speeds of up to 48 kph (30 mph). 24) Insects find it easier to fly in warm weather which is why they are more active on sunny days. 25) Water beetles cannot walk on land. If they need to travel to a new pond, river or lake they do so by flying. 26) Although tiny, a flea can jump up to 30 cm (12 inches) into the air. 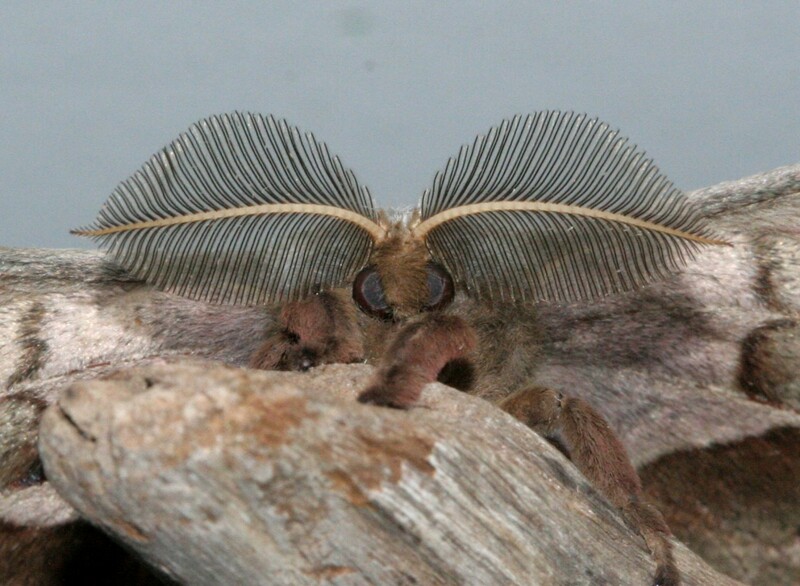 27) Up close the antennae of male moths look a lot like feathers. 28) If it needs to escape attack, a locust can propel itself 2 m (7ft) through the air using its powerful back legs. Plant eaters – these feed on plant material only. Predators – hunt and eat other small creatures. Scavengers – a group of insects that eat dead animals and rotting plant matter. 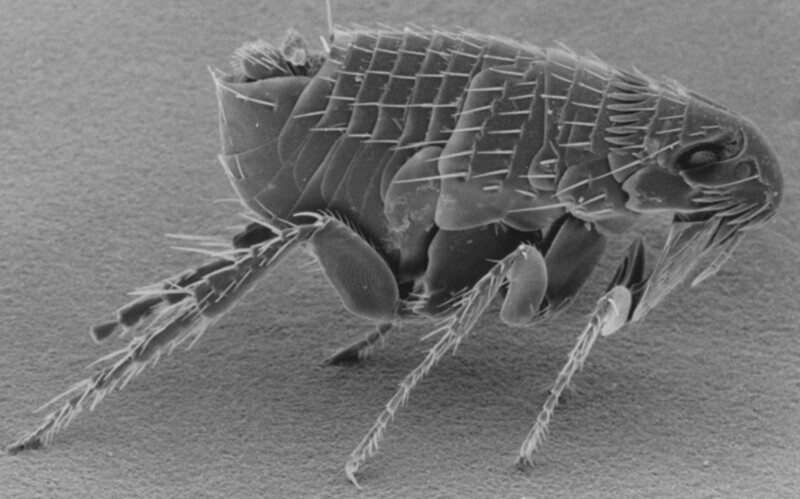 Parasites – parasites live on or inside another animal, known as a host. 30) Although their diet sounds horrible, scavengers play a vital role in nature by cleaning away dead and rotting material. 31) Female earwigs are devoted mothers and stay with their babies for several weeks to guard them from predators. 32) The caterpillar of the postman butterfly has a long line of poisonous spikes along its back to protect it from attack. 33) Hoverflies may look like wasps but are in fact harmless and do not sting. However because they look like wasps other animals are tricked into not eating them. 34) Many insects can cope with very harsh conditions as their exoskeleton protects them from hot and cold and helps to keep out wind and rain. 35) Some types of insects have a type of anti-freeze in their blood called glycerol. This protects them from the extreme cold and allows them to live in the harsh conditions of the Arctic and Antarctic. 36) Many insects such as ants, termites and some bees and wasps live in large social colonies and work together as a team to build a nest, collect food and defend their home. 37) Colonies will have a single female, known as a queen who lays all the eggs for that particular colony. 38) Butterflies are active during the daylight and the majority of moths are only active at night, although there are a few types that come out during the day as well. 39) The wings of butterflies and moths are covered in thousands of tiny scales. 40) Flies are extremely acrobatic and can even walk upside down. 41) Bluebottles (a type of fly) only live for approximately six weeks. 42) Ladybirds and their larvae are fierce predators and help protect plants from aphids and other insect pests. 43) Longhorn beetle larva eats timber. They have a special micro-organism inside their guts that enables them to digest the wood. 44) Male cicada bugs are the world’s nosiest insects. 45) Sea skaters are the only bugs found on the sea. They are able to skate over the waves and eat tiny creatures drifting in the sea. 46) Humans would not be able to survive without insects. They perform many useful jobs such as pollinating food crops and preying on other creatures that would otherwise destroy food crops. 47) Carrion beetles help prevent disease because they eat the bodies of dead animals. 48) A food commonly used food colouring called cochineal is made by crushing the bodies of the tiny insects. 49) As well as helping humans, insects can also be pests and damage plants, crops, clothes or food stores. Blood sucking insects can also be responsible for the spread of diseases including malaria. 50) Insects are among the first animals to have lived on land and are believed to have first lived as long as 400 million years ago. Thank you. My son is a big bug fan too. A fascinating Hub. I am always a sucker for anything about the little creatures on our planet. Thanks for sharing. Voted up.